"Juneteenth is a landmark occasion in our nation's history - when the remaining slaves in this country were emancipated," said Senator Wicker. "It is a day to remember our nation's past and a day to commemorate the work that has been done over the past 150 years toward ensuring freedom, equality, and justice for every American. I am proud to have introduced this resolution in the Senate, working with my colleagues to give this holiday the national recognition it deserves." 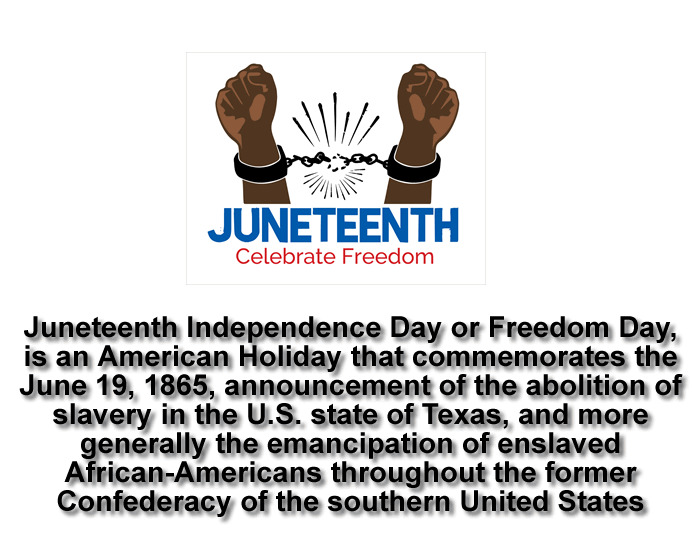 Resolution 547: Designating June 19, 2018, as ''Juneteenth Independence Day'' in recognition of June 19, 1865, the date on which slavery legally came to an end in the United States.